Earlier this week Apple showed off iOS 11, the next iteration of the iPhone and iPad operating system that’s coming later this Fall, but lengthy as its WWDC keynote was, there was nowhere near enough time to mention all of the neat features coming down the iOS pipe. We’ve got the beta up and running—here are the best goodies heading your way that Apple didn’t mention. The process needs to be initiated by someone turning up with an iOS 11 device that’s not connected to the Wi-Fi—if that person tries to connect, then other iOS 11 devices already hooked up and close by get a prompt to share access (basically the Wi-Fi password). iOS has now joined Android in offering a built-in one-handed mode for the default keyboard: It means if you’ve only got one hand free to tap out a message, then the keys become a bit easier to hit, especially if you’re using one of the larger iPhones models. To find the option, press and hold on the globe or emoji icon to the left of the space bar, then choose the left or the right configuration. The arrow that appears in the blank space lets you return to the normal keyboard mode when you’re back to two-handed operation. A bunch of early iOS 11 testers have noticed that the updated Camera app is going to come with the ability to read QR codes, just in case you come across any on your travels. If you’ve never actually seen a QR code in the wild they’re actually pretty useful. They can do stuff like give you access to Wi-Fi networks, share your contact details with someone else, send you to a particular website, or prove your ticket is valid for whatever gig you’ve shown up to. One thing that has made the super music obsessive wary of iOS is the lack of FLAC support. FLAC, or Free Lossless Audio Codec, is an audio format that has zero compression. According to music lovers, compression can lead to loss of quality in music playback. You might miss the squeak of a finger across a guitar string or the lower registers of a bass drum. While Apple has maintained its own lossless audio format, Apple Audio Lossless Codec, since 2004, the big majority of lossless music available online is FLAC-based. And, as noted by this savvy redditor iOS 11 now supports FLAC playback. It’s still not available in iTunes or the music player specifically, but if you have any FLAC files hanging out on your iCloud drive you can simply tap to play them. 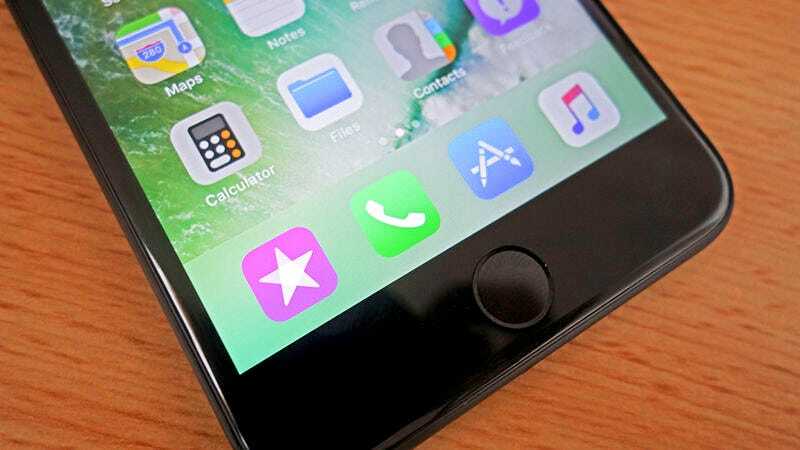 Deleting apps that are gathering dust is useful for reclaiming storage space and generally keeping your iPhone or iPad running smoothly, but before iOS 11 appeared, deleting apps also meant erasing the settings and other related data for an app. Not so any more. If you go to iPhone Storage from the General menu in Settings, you can tap on an app then use a new feature called Offload App—this seems to delete everything but some key settings. Apple has also included an option to “offload” rarely used apps automatically. As Engadget spotted, with iOS 11 Apple is opening up access to the NFC chip inside the iPhone 7 and iPhone 7 Plus, along with (presumably) future iPhones—for users that should mean more of their iOS apps able to tap into the wonders of Near Field Communication. Think mobile payments, but also hotel room access, or instant one-tap access to a Wi-Fi network (Android users have been playing around with NFC tags for years of course). In some cities you can even use NFC devices to pay your subway fare. It’s difficult to say exactly how this new functionality will play out, but with Apple now embracing NFC it’s definitely one to keep an eye on. A bunch of Siri upgrades are to be expected whenever a new iOS rolls around, but hidden away in the Accessibility menu under General in Settings for iOS 11 is a new Type to Siri option: When Siri is launched, you can type out your question rather than speaking. Obviously this is aimed at those who can’t speak out commands normally, but it’s handy for anyone who’s in a quiet (or loud) space. By the way, you can already type commands into Siri in iOS 10, but you need to tap on a previous (spoken) query and then edit it. Keeping tabs on your location is one of the most invasive permissions an app can ask for, even though a lot of them need it to function properly, and at the moment it’s only possible to turn location tracking on or off for a particular app (or off altogether on iOS). In iOS 11 there’s a new option which allows location tracking, but only while the app is being used, which means more privacy and more battery life for users. To take advantage of it, open the iOS Settings, select the app you want to deal with, then pick Location.